Attacked by Mongol in the 13th century, the Burmese Bagan Kingdom crumbled and only a fifth of the original number of temples remain. There are quite a few activities that you can do in Bagan and here are our 6 top choices. Bagan still has over 2,000 temples remaining, down from 10,000-plus in its glory days. Before you start your exploration of Bagan, it’s worth understanding the difference between a pagoda, stupa and temple. Pagoda is a generic term for a stupa or a temple. Stupas are pagodas that you can go around but you generally can’t go into – because there is no entrance. But you can go inside of temples and typically they have four entrances and exists located north, south, east and west with a Buddha at each entrance. As the temples are active Buddhist places of worship, visitors must pay proper respect before entering such as footwear must be removed (no exceptions! ), modest clothes worn, and proper behavior followed. Seeing the balloons rise over the temples at sunrise is a magical experience—it’s by far one of the best things to do in Bagan—but, having spoken to people who saw the sunrise while being inside the hot-air balloon, well that apparently falls into the ‘best things you have done in your life’ category, not just the best thing to do in Bagan. If balloon flights are beyond the reach of your budget, you can still climb on a dwindling number of multi-tiered temples to see Bagan's gorgeous sunsets reflecting off the Irrawaddy River in the distance. If you're mobility-challenged, lacking travel insurance or just prefer riverside views, head off to the gourd-shaped Bupaya and the sacred Lawkananda temples for your sunset fix. One of the more leisurely ways to experience Bagan is by hiring a horse cart and driver for the morning or afternoon. While perhaps not the most comfortable, it is without a doubt the most authentic, with the slow pace allowing you to really appreciate the incredible architecture that surrounds you. There’s rarely a more colorful and vibrant spot than a local market and the one in Bagan is no different. Mani Sithu Market in Nyaung-U is located next to the main road near a central roundabout. Stalls selling freshly-butchered meats, packages of areca nut and betel leaf, cooking oil, and dried fish, altogether an authentic local people-watching experience worth making a detour for. Lacquerware feels like it belongs to the past — hand-carved, non-microwave-safe, and crafted using traditional materials and centuries-old formulas. But like many ancient crafts, lacquer has a beauty that few modern equivalents can reproduce.  Bagan lacquer craftsmen favor black, red, yellow and green colors in their products, seen all over the jewelry boxes, cups, coasters, and jars sold in shops all up and down Myinkaba's main drag.